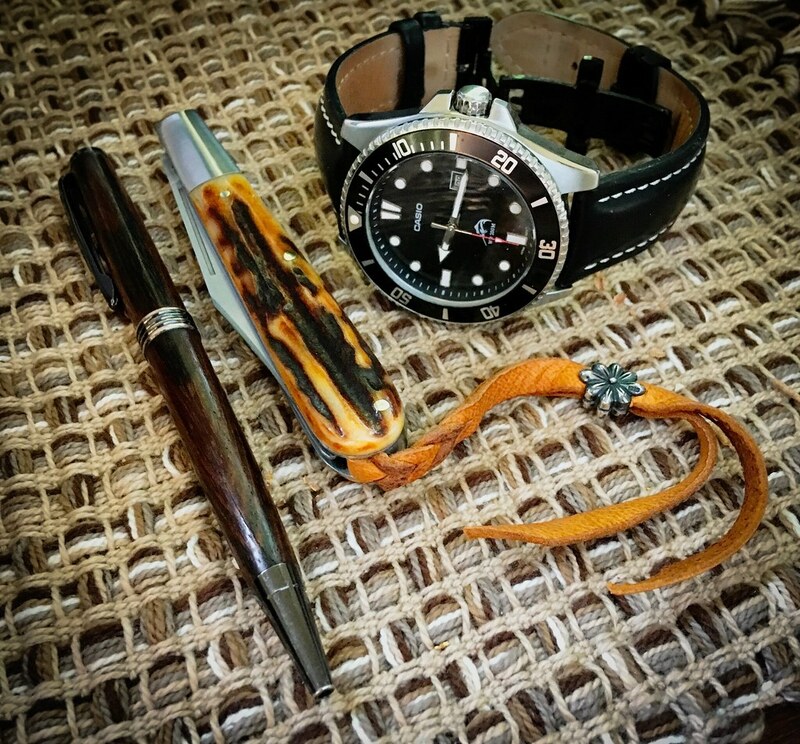 Discussion in 'Traditional Folders and Fixed Blades' started by Gary W. Graley, Jul 29, 2018. 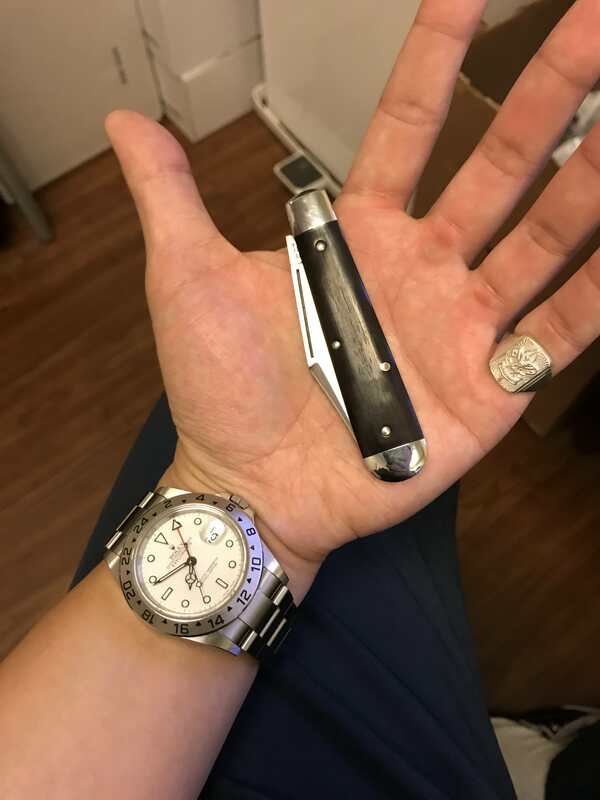 Here's my latest slim daddy barlow along side one of the best time keeping watches I've ever owned, a Casio, this thing stays spot on and 'maybe' gains a second after a few months time. 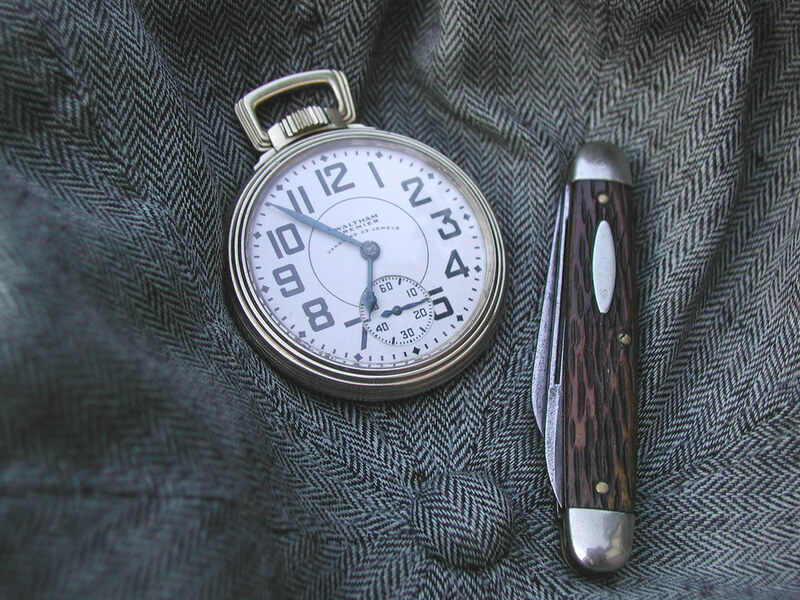 I know most battery watches are suppose to be very good time keepers due to the way they are made, but you will have friction playing a factor which can cause the watch to not always be so exact, this one, is simply amazing as well as being super easy to read day or nite. and the pen is from Scott, aka @rustysocket on the forums, one he made me 2 years ago, very nice and always in my shirt pocket. HST, marchone, Vaporstang and 18 others like this. Gary, here’s a couple of pics to get the ball rolling! HST, Vaporstang, Lostball and 16 others like this. 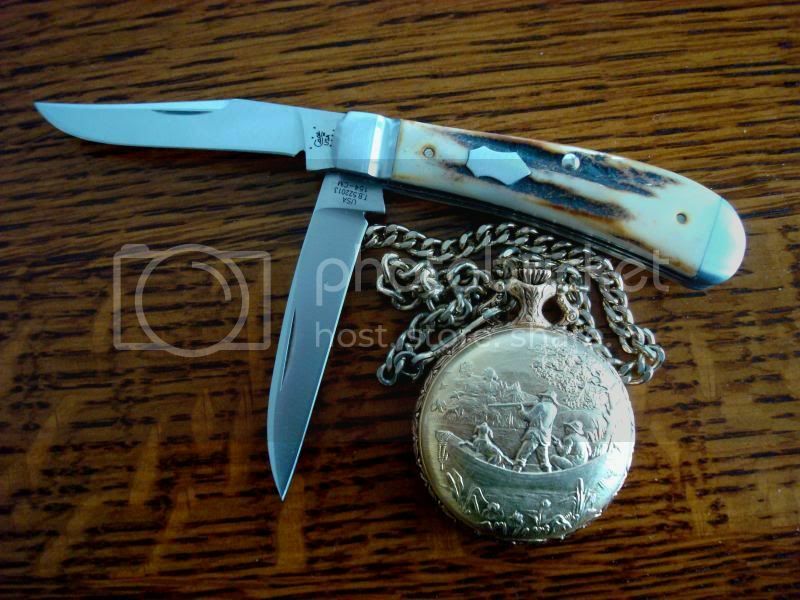 HST, KnifeRep, Vaporstang and 20 others like this. Here's one I found in my archives. Here's another. 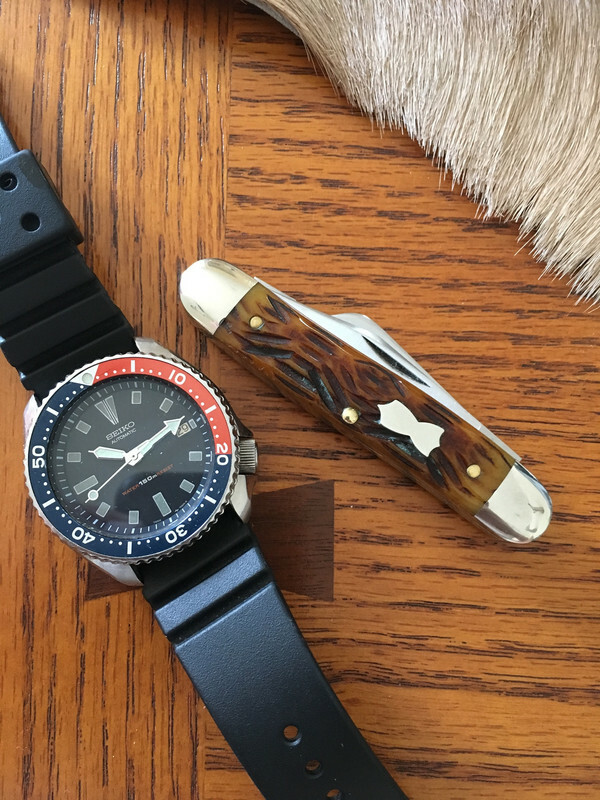 Watch was a wedding gift from my Air Force buddy, 40+ year best friend, best man, Mike . Stang Bladeworks, HST, Ice Tigre and 24 others like this. They would make a fantastic carry combo! HST, Vaporstang, Lostball and 21 others like this. HST, Vaporstang, Lostball and 18 others like this. HST, Vaporstang, Lostball and 13 others like this. HST, Vaporstang, hamsco and 15 others like this. 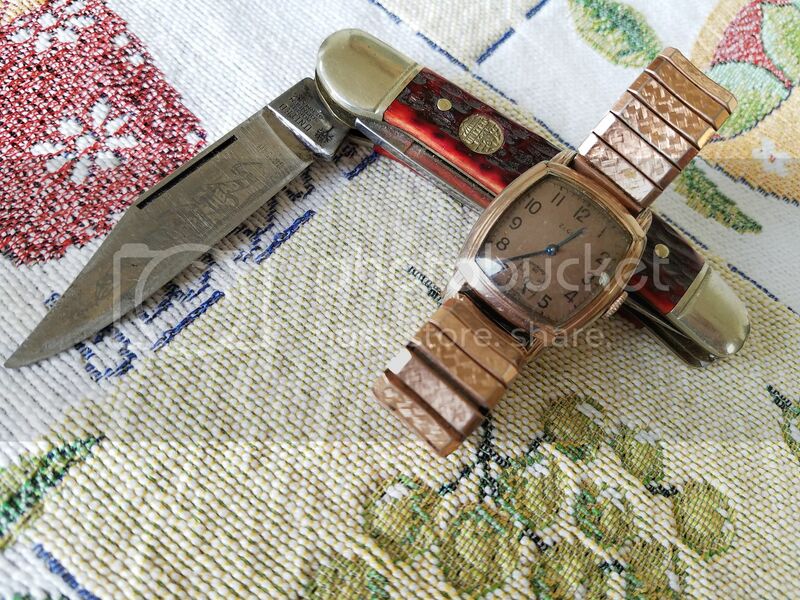 I collect art deco watches and appreciate all time pieces. This is going to be fun. A Patek already Well done John !!! HST, KnifeRep, Vaporstang and 14 others like this. A Patek already Well done John !!! Duckdog, Chief, Peregrin and 1 other person like this. HST, Vaporstang, Lostball and 11 others like this. HST, Vaporstang, Lostball and 14 others like this. 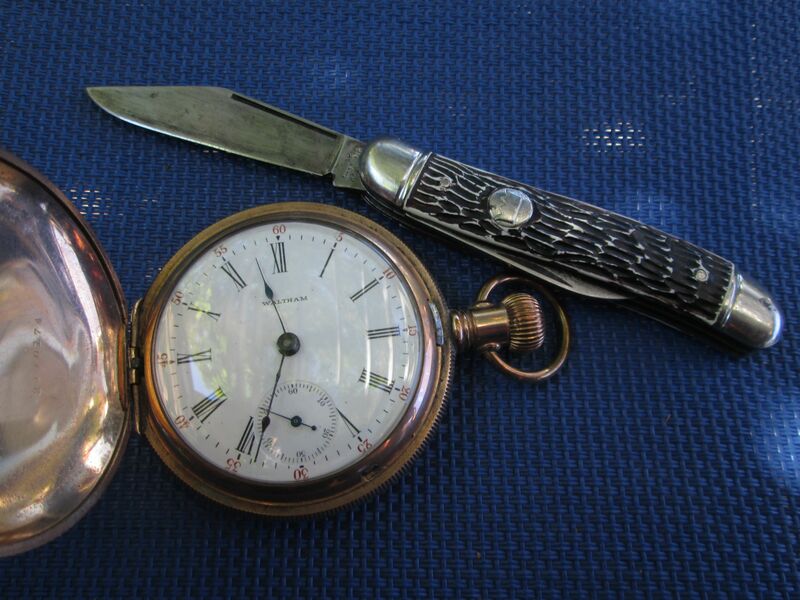 Pocket Watches = I'm watching this thread. What can I say? I like pocket watches. 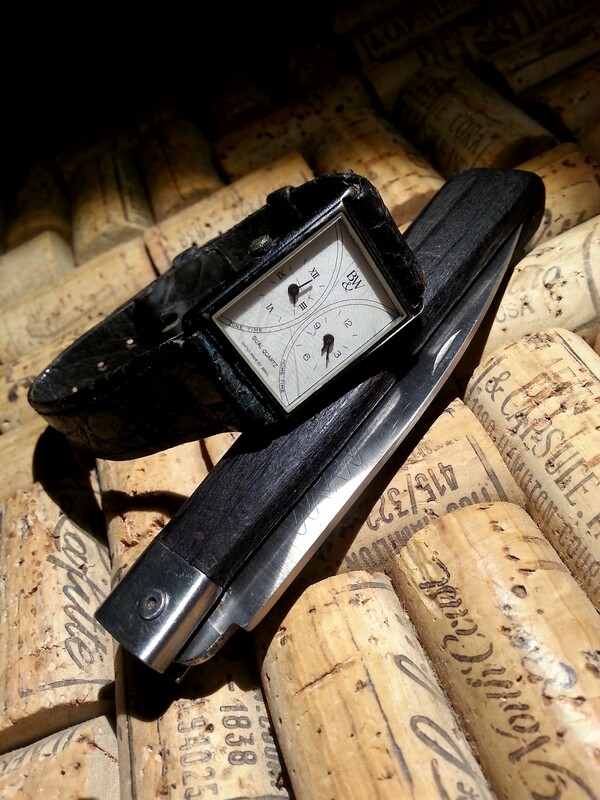 @Gevonovich your post reminded me about this ol' watch. HST, Vaporstang, Lostball and 12 others like this. HST, Ice Tigre, Vaporstang and 19 others like this. 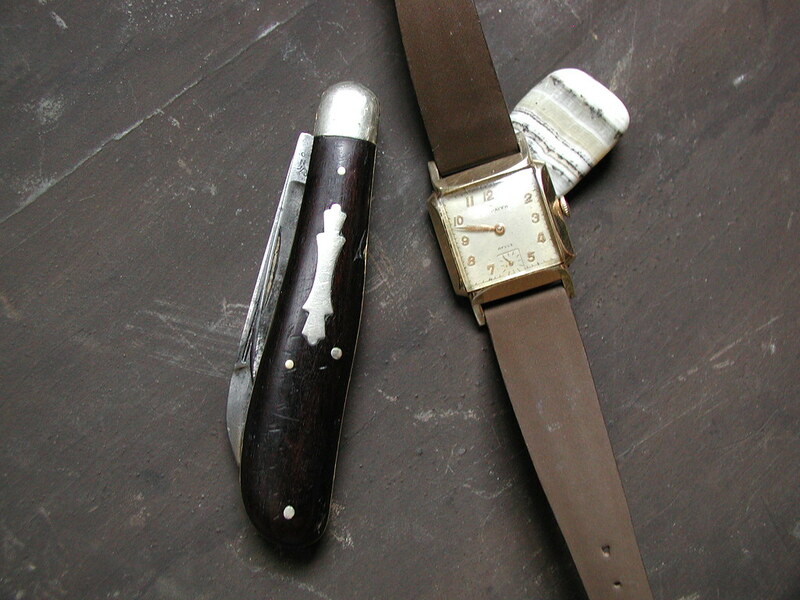 Super cool old watch and I like the french knife too ! 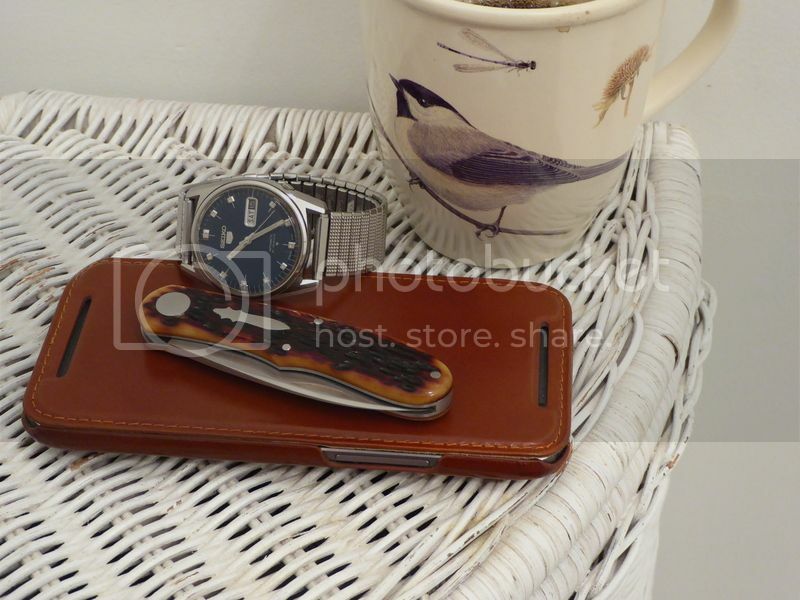 Here's two of my most treasured items. Not for their monetary value but for their sentimental value. 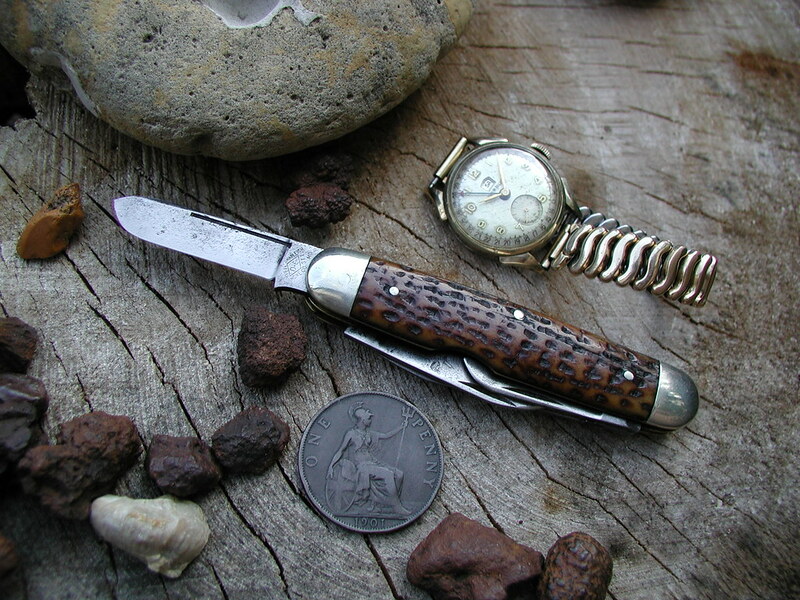 The Boker Copperhead my father carried everyday for many years. Right up until the time he passed. The Elgin watch my Grandmother gave him for his High School graduation in 1941. Shortly thereafter he was off to fight in WW2. He replaced the original band with a Twist-O-Flex many years later and the original cabochon crown was replaced when I managed to lose it when I was 7 years old or so. 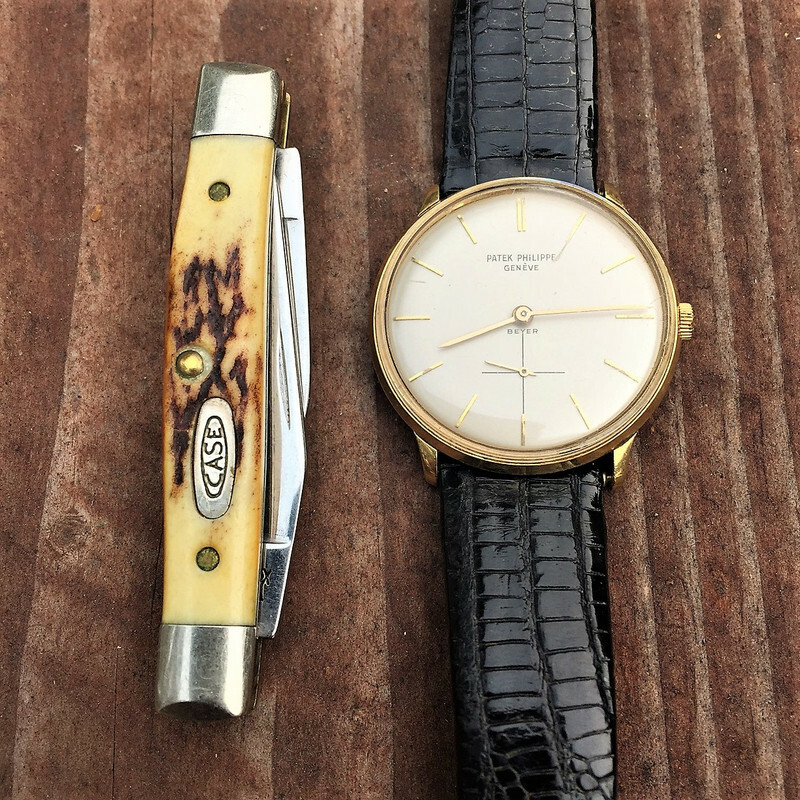 He wore this watch quite often right up into his 80s. It still runs and keeps pretty good time today. HST, Ice Tigre, Vaporstang and 22 others like this.